I recently chatted with Ronald Mickler, Jr, the executive director of MBA programs at Ashland University’s MBA Programs. Our students are extremely motivated people who need a flexible learning experience. We know they have busy lives with full-time employment being one of the biggest time commitments. No, but we encourage students to visit either the main campus or our off-campus MBA centers, and network with faculty or students, and attend any Ashland MBA Program events. Yes. Students are enrolled in a series of 5 sessions, each roughly 7 weeks in length. 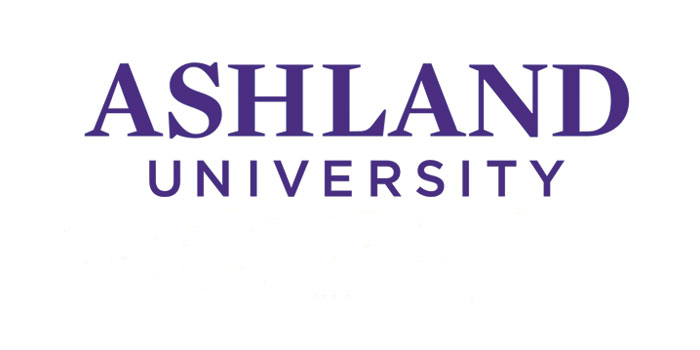 Ashland University's Online MBA Program is taught by the same professors who teach in the classroom. This means our online courses are taught by the same faculty with real-world experience. That’s what makes this program so successful. Our teaching model keeps the consistency standard between the traditional program and the online program. Students are able and encouraged to interact with faculty via live chat, audio and video conferencing, blackboard discussions, email, etc. Our top-ranked Online MBA program is designed to be completed start-to-finish in less than 1 year. The program is affordably priced with a tuition of $29,500, which includes all web-based materials. The curriculum is structured into a series of 30 credit hours, delivered over 5 sessions that span just under 12 months. Students can choose a sport management specialization or project management. Our project management coursework is dual-purpose, and additionally provides Project Management Institute approved preparation for gaining the Project Management Professional (PMP®) certification. Tuition also includes a pre-paid PMP® exam fee. For students seeking a less intensive pace, our online program can be completed over the course of 2 or 3 years. Can you tell us more about the MiFi hotspot---is that part of both the Online and Hybrid options? Students can study anywhere and anytime with the Verizon® MiFi hotspot, included in tuition. It can be used for anything, and we expect the always-available internet connection to be useful for their current professional career, as well. This feature is for the 1 Year Online MBA Program only. Yes! We provide professional career management to help students reach their goals. Our services range from 1 on 1 resume reviews with our certified career coach to online career exploration tools. Not all online MBA programs are created equal and the differences are often found in the instructors and reputation of a program. The Ashland University MBA program has been fully accredited by the Accreditation Council for Business Schools and Programs (ACBSP) for more than 20 years. Our online MBA program options afford students the flexibility to take as much or as little per semester as they want/need. Whatever the student’s demand is for flexibility, we can meet it. Flexibility is key for many potential students—whether working professionals or transitioning careers. What is the advantage of a 1 Year Online MBA for a working professional? The number one benefit is flexibility. An online MBA program allows students to learn and study from anywhere, and at any time. This flexibility is the absolute best scenario for someone who might be working full-time but wants to earn their MBA. Tell us about the time required for the Online MBA and the Hybrid program—are classes offered at nights and weekends? The graduation requirement is a minimum of 30 credit hours. Students can start at one pace, such as the Accelerated 1 Year format, and switch to another. Hybrid classes are offered at night and on weekends. Students who are local to Central Ohio and Northeast Ohio can opt to enroll for in-class courses for a physical in-person learning experience at the Ashland University main campus, Cleveland MBA Center, or Columbus MBA Center. Is the 1 year Online MBA accelerated program guaranteed completion in 12 months only apply to the Project Management or Sport Management Specialization? As of right now, yes. We plan to offer more specializations in a 1 year format in the future. Ashland is leading the way with the commitment to PMP. Does every program include the PMP (Project management Professional) Certification option? Only the 1 Year Online MBA Program. Thanks to Ronald Mickler Jr. for participating. For more interviews, check out our Online MBA Report Interview Series.